Based on reviews from 11 experts and 135,207 users. Learn how our rankings work or see our guide to wide training shoes. Updated Apr 2019. In a perfect world, you just slide into a pair of trainers and set forward to fulfill your athletic aspirations, forgetting that you even have any shoes on. That’s how the right pair of athletic shoes should fit. No matter if you are a professional athlete, a sports enthusiast, or someone who wants to keep fit, you expect your training footwear to be comfortable and accommodating for every move you make. When shopping for training shoes, you probably consider the style, the brand, the materials and technologies used, as well as the overall craftsmanship of the product. These factors are indeed important, but they all come crashing down when the shoe doesn’t fit. 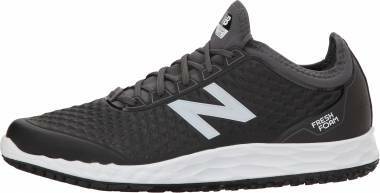 Of course, there are some people who still persist and buy the trainer, sacrificing comfort and healthy feet to that last pair from their favorite brand, to their favorite color, or to that excellent price. While such a purchase may bring certain short-term satisfaction, in the long run, poor-fitting shoes result in all sorts of undesirable conditions. muscular compensations in the feet tend to further progress into pain and malformation in the lower extremities and the back. Besides, wearing shoes that don’t fit properly will also have a negative effect on the condition and lifespan of the footwear itself. Its materials will begin to stretch and lose structure to conform to the shape of the foot which significantly decreases the shoe’s durability. This, in turn, will do more harm than good for the wearer as well. So, what service does the right pair of training shoes do for you? First off, you feel comfortable and sure-footed which definitely reflects on your improved athletic performance. Your foot is free to expand naturally throughout the movement, engaging the right muscles to work. Not only does it feel enjoyable but also prevents the development of unwanted foot conditions. Many athletic shoe brands take proper fit very seriously. Understanding that all human feet are unique in terms of length, width, and needs, they work out their sizing schemes to accommodate these differences. 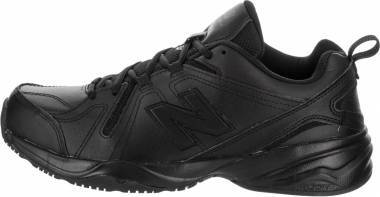 While the market is dominated by the shoes with medium width profiles, you can also find models for narrow feet as well as a range of wide training shoes for people with wider foot dimensions. Wide training shoes: what are they and who are they for? We all know more or less about shoe sizes: they are listed in numbers and are based on the length of your foot from heel to toe. But you might have also seen letters “A”, “B”, “C”, “D”, “E”, “EE”, and others indicated on your shoe box. These stand for the width of the shoe. The “B” profile represents a standard Medium width in women’s footwear, while “D”, “E” and the following letters represent wider profiles. As for the men’s widths, “D” is the Medium in men’s trainers and “E”, “EE”, and so on refer to wider shoe profiles. 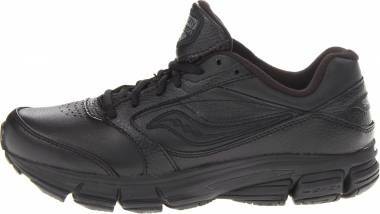 Wide and Extra Wide training shoes are created for people who need additional room in their footwear to feel comfortable and unhindered. The reasons for that can be very different. Firstly, some people naturally have larger foot dimensions; secondly, there might be foot deformities, like bunions and hammertoes, which need to be accommodated; and thirdly, health conditions such as diabetes, edema, and others also call for a roomy footwear. Do I need wide training shoes? The core parameter which determines one’s shoe width is the measurement of the widest section of the foot. It is the distance between the most prominent lateral and medial edges found in the ball of the foot. But how do you know if the width of your forefoot is large? What is the comparison criteria? Here is an example to give you a general idea of what “above-average” means in terms of shoe width. If you are a man who wears a US size 10 in athletic shoes and whose widest section of the foot exceeds 4 inches (about 10.2 cm) across, then you should opt for wide training shoes. And if you are a woman with a US shoe size 9 and a forefoot width exceeding 3.7 inches (about 9.4 cm), then you are also likely to be more comfortable in a wider option. Please note that it is just a rough approximation and generalization. A thorough guide on figuring out the right shoe width for you is provided in the “How to...” section below. On top of that, if you have any of the conditions mentioned above (foot deformities or illnesses), you must measure your feet to accommodate them too. Also, make sure that you consult with a podiatrist to get a better understanding of the type of footwear you need. pinching sensations on the sides of the foot and on the instep. Finding out that you need to get a wider shoe might be a touchy subject, as there is a belief that wide training shoes are bulky. However, the actual difference between a men’s D - Medium and E - Wide options is only 0.4 inches (1 cm). This tiny extra space is added in the upper unit to help the foot achieve a more comfortable and relaxed position without making it look cumbersome. It is even less noticeable in trainers with a woven or knit upper and a streamlined design. 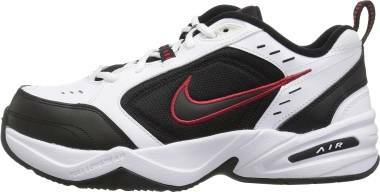 And even if a pair of wide training shoes does look like clunky grandpa shoes, there is no need to worry as this style has been making its way back into the fashion sneaker industry. How to find the right pair of wide training shoes: step-by-step. Of course, the easiest and most efficient option would be to go to the brand store(s) of your choice and try on a bunch of actual trainers. The sales assistants there will also be able to take your measurements and guide you in getting the right size and width. However, it may get a bit tricky with wide training shoes because they are not offered in the same abundance of choice as the regular-width shoes. Another problem could be that you don’t have any decent stores in your area which offer quality athletic shoes in wide profiles. In either case, turning to online retailers is your best bet. Online shopping can be a stressful experience, especially if you are trying to figure out the right shoe width for you. But a mindful, step-by-step approach can help you save your peace of mind, as well as time and money. Note: the pen/pencil should be held perpendicular to the floor to ensure that the outline is accurate. use a ruler or a measuring tape to take the length of the widest section of each foot and note the numbers down (either in inches or centimeters). just in case: measure the length of your foot from the most prominent part of the heel to the end of the longest toe - this information might be necessary as well because length and width go along in shoe sizing schemes. Don’t worry if one foot turns out to be bigger than the other as it’s normal for people to have certain natural asymmetry in different parts of their body. In this case, go shopping for a shoe based on the larger foot. On the other hand, it could also be due to uneven encircling of the two feet. If in doubt, repeat the process to compare the results. As soon as you have your foot measurements ready, it’s time to find out if you need to look for wide training shoes and how wide they need to be. Different parts of the world use different systems for measuring the size and width of a shoe. And they don’t all agree on the parameters and units of measurement. Moreover, each shoe manufacturer uses their own type of last to produce footwear which creates a discrepancy in sizes between the brands as well. And to cap it all, different models of the same width from the same brand can also fit differently. Wow, that’s harsh. So, what do I do? Search for a chart provided by the particular brand which you are going to purchase from or ask their customer support for help. 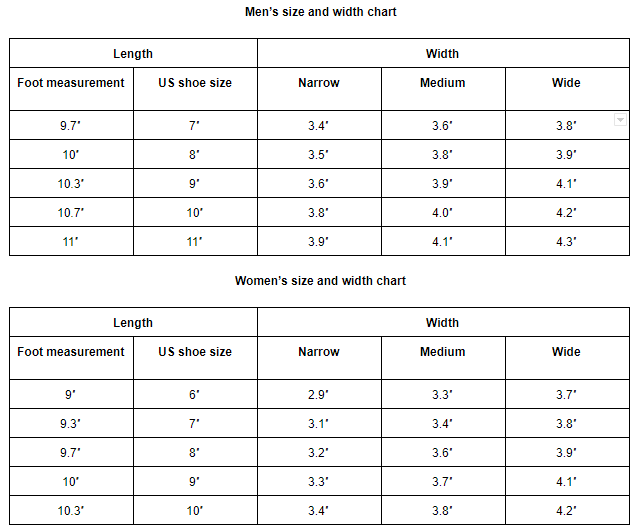 You can also use the chart below to get a general idea about your foot size and width. Note: While these charts may not be 100% accurate, they will still give you an idea of which shoe width you should try out. Once you know that Wide or Extra Wide training shoes are an option for you, stop for a moment to consider the type of activity you’ll be putting them through. 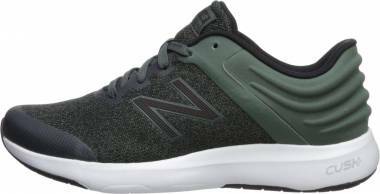 If you need a trainer for daily workouts at the gym, fitness classes, cardio sessions, or similar activities, then go with workout shoes in wide profiles. 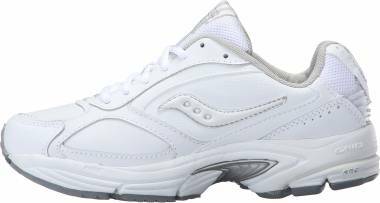 If you are looking for a footwear to provide you with support and cushioning during extended periods of walking or standing, take a look at wide shoes for walking. Things might get a bit complicated if you need a pair of wide shoes for CrossFit or weightlifting. The brands that produce these types of trainers do not offer them in wide options. However, a vast majority of CrossFit footwear comes with a wide toe box and a stretchy, flexible upper material. This construction can fit people who need to wear wide training shoes. 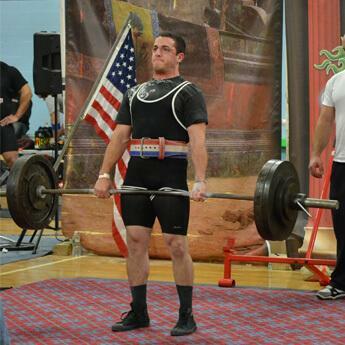 As for weightlifting trainers, they tend to have leather uppers that are not so easy to stretch. But these shoes are also designed with some extra room to accommodate larger feet. What you could do in this situation is to look at users’ reviews for each particular pair you are interested in to get a better idea of how it fits. Also, women could opt for men’s versions to achieve that extra space of wide training shoes. Websites like RunRepeat.com create aggregations of shoes from a variety of athletic brands. Filter them by width to see which ones are offered in wider options. Please note that on our website “Wide” includes “Extra Wide” profiles as well. You can further apply other filters to discover the trainers which suit your preferences in terms of color, arch support, weight, and price. Try not to be too strict at this point as the right fit is still the main priority for choosing the best wide training shoes. Once you’ve got a smaller batch of shoes in front of you, check out the product page of each one. 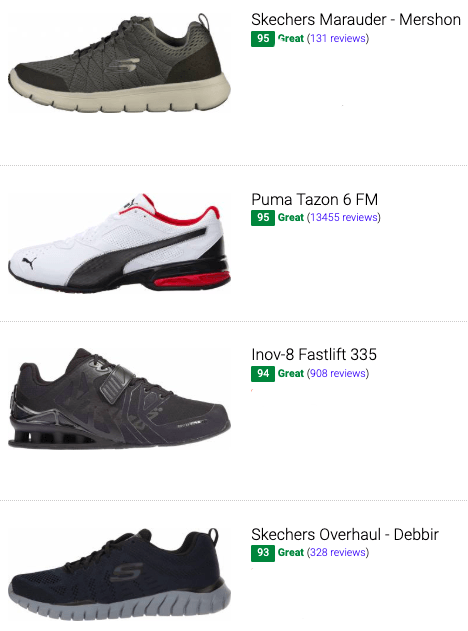 At RunRepeat.com we collect all available expert reviews, make an overview of the users’ feedback, and provide a comprehensive description of the materials, technologies, and construction for each pair of trainers. There is also a “Size and fit” section where you can find out more about the way this particular shoe fits. For your convenience, we have added a comparison feature where you can put together several models of wide training shoes that caught your attention. Switch to the “Grid View” option of the ranking page and tick the products you would like to compare side-by-side. Now that you know the brand and the width profile of your future wide training shoes, you can check if they are currently offered at a discount. At RunRepeat.com we keep an eye on more than 200 retailers to help customers get the best deals. Make sure you have selected “Wide” in the width filter as well as applied all the other filters at your preference. Then, select your gender and size to see the best prices come up in red next to each shoe. Hope you are lucky to get a good deal! It is recommended to retake your foot length and width measurements every year because our feet keep changing even in adulthood. Also, such instances as pregnancy and injury are very likely to reflect on the foot shape and may require you to get wide training shoes. If you are in doubt about which width to get, order two pairs in different profiles and try them on to compare. The return policy of most brands and online retailers allows buyers to return their purchase within a certain time frame and under the condition that the shoes have not been damaged or worn outside. The upper materials, overlays, and design liberties considerably influence the fit of the shoe. They can make a Medium-width trainer accommodate a wide foot and vice versa, make a pair of Wide training shoes fit snug or tight. It is advisable to try shoes on at the end of the day when our feet reach their maximum volume. Also, make sure to put on the same type of socks which you are planning to wear with your wide training shoes regularly. And if you are prescribed an orthotic insert, put it inside the shoe for the fitting process. If you are a woman and cannot find a well-fitting female width, try going with a men’s version instead as they tend to be a bit wider. Typically, you will have to go down 1.5 size to achieve the right fit. How do I know if the width of the shoe is right for me? Most of the time you can intuitively tell if the shoe fits you right or not. But occasionally you may find yourself somewhere in between. There is a simple rule for cases like this: if it is not a definite “yes”, then it’s a “no.” That’s it. Your feet will only thank you for taking the time and being patient about finding the right pair to suit your individual needs. When you put on a new pair of trainers, pay attention to the ball of the foot first. Because it is the widest part, it can quickly help you judge if the fit is too tight or too loose. There should be no pinching or squeezing sensations in the sides of the foot, in the toes, or on the instep (the top part of the foot sloping down from the ankle to the toes). Your underfoot should perfectly align with the footbed and should not extend beyond the edges of the sole. While a training shoe is supposed to be close-fitting in the heel and in the midfoot, the toes should still have enough room to splay and wiggle. Check if there is a thumb’s width space in the forefoot between the longest toe and the edge of the shoe. If the upper material happens to bunch up and crease in the toe box, it’s a sure sign that the fit is too loose. What should I do if the Medium width is too snug but the Wide width is too large? Some people might find themselves stuck somewhere in between medium and wide training shoes. In this case, try to figure out where exactly the fit is too tight in the Medium-width shoe. Snug forefoot. For most people that would be the forefoot section of the shoe. If there is not enough space for your toes to spread and wiggle freely, check if the brand has options with a wide toe box. 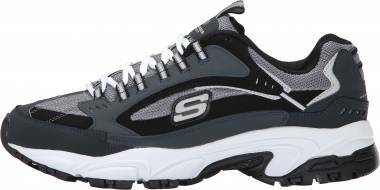 For example, Skechers offer some of their shoes in a Relaxed Fit profile in which the regular medium width is maintained in the heel and the midfoot sections, while the toe box has more space. Also, Inov-8 have developed their own Fit Scale from 1 to 5, in which 4 and 5 refer to shoes with a roomier forefoot. You can also check the product page of the shoe you are interested in on our website. The “Size and fit” section will give you more information of that particular model. Tight midfoot. In this scenario, you feel like the sides or the instep of your foot are being uncomfortably squeezed or pinched by the shoe upper. Before opting for the Wide option, try experimenting with the lace-up closure. RunRepeat.com has prepared a comprehensive guide on various lacing techniques which could help you in achieving the right fit in various situations. Even though it says “running shoes”, the same methods can be easily applied to training shoes. How to know if a shoe requires a break-in period or it’s the wrong width? There is a common notion that every new pair of shoes is supposed to feel a bit snug and uncomfortable at first. And a typical explanation would be that it just needs time to break in and conform to the shape of the wearer’s foot. While it is true to some extent, most of the time you simply get a shoe in a wrong size or width. Measuring your foot dimensions as described in the “Step 1” section above, will help you minimize the chance of getting the wrong trainer. Also, take your time to walk around and mimic the type of moves you are going to perform in these shoes. If your toes bump against the edge of the upper, the materials start digging into the heels or ankles, or pinching sensations appear in any part of the foot, you’ve got the wrong size/width. There is also a chance that the way this model is constructed does not work well with the shape of your foot, so don’t hesitate to move on and try other options. Don’t rely on breaking in the shoe in this situation. Make sure to give wide training shoes a try as well.